Partizan mt:s Belgrade improved its chances to reach the Top 16 in Group D by edging Lietuvos Rytas Vilnius 75-74 in from of over 7,000 fans in the Serbian capital on Thursday. Partizan improved to 2-6 in Group D and is now tied for fourth place with Brose Baskets Bamberg. Both teams are set to meet again in regular season Game 10, in what promises to be a critical showdown. Rytas dropped to 1-7 and needs to win its two remaining games to keep its chances alive. Davis Bertans paced the winners with 14 points on 4-of-5 three-point shooting. Vladimir Lucic added 13 and 8 rebounds, Dejan Musli had 12 points and Drew Gordon got 10 for Partizan. 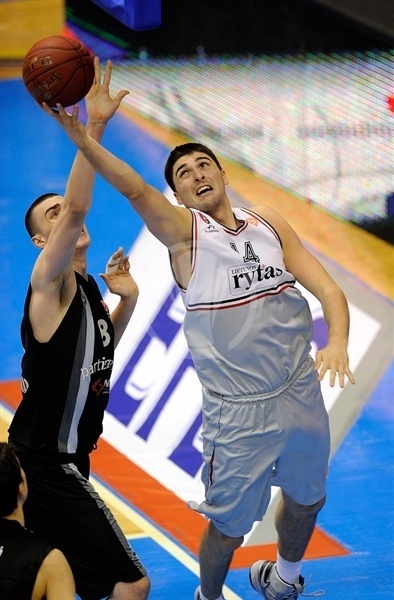 Nemanja Nedovic led Rytas with 16 points. 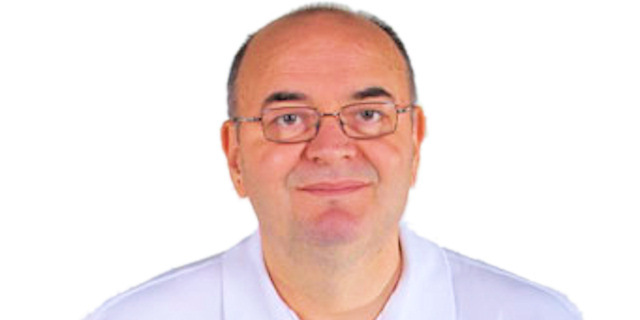 Leon Radosevic added 15 while Ronnie Seibutis and Janis Blums each had 12 for the guests. An outstanding Lucic gave Partizan a 18-11 lead after 10 minutes. Partizan kept a 39-33 lead at halftime and boosted its margin to 59-49 late in the third quarter. Seibutis and Radosevic fueled a 0-13 run that gave Rytas the lead, 59-62. A corner three-pointer by Seibutis gave Rytas a 73-74 edge in the next-to-last minute, but Gordon stepped up with a go-ahead slam. Rytas had a final chance to win the game, but Seibutis missed a six-meter shot seconds before the final buzzer. Dragan Milosavljevic got Partizan going with a turnaround jumper and a three-point play by Lucic soon gave the hosts a 5-0 lead. Rytas struggled to score for more than three minutes and an off-balance turnaround shot by Gordon and a free throw by Nikola Milutinov boosted Partizan's lead to 8-0. Mindaugas Katelynas buried a bomb from downtown but a put-back basket by Milutinov kept the hosts way ahead, 10-3. Milutinov kept pacing Partizan with a backdoor layup that caused Rytas to call timeout at 12-3. Seibutis buried a six-meter jumper and Nedovic banked in a mid-range shot to give the guests some fresh air, 12-7. Dejan Musli shined with a power layup that Leon Radosevic matched with a tip-in. Lucic followed a high-flying reverse layup with free throws but Blums kept Rytas within 18-11 at the end of the first quarter. Radosevic scored down low early in the second quarter and a power layup by Dejan Ivanov brought Rytas within 18-15. Steponas Babrauskas nailed a corner three-pointer to tie the game at 18-18 after a 0-7 run. Davis Bertans answered from downtown, but free throws by Radosevic and a layup in transition by Ivanov completed the guests' comeback, 21-22. Blums buried his first three-pointer, but a floating layup by Milutinov and free throws by Lucic tied it at 25-25. 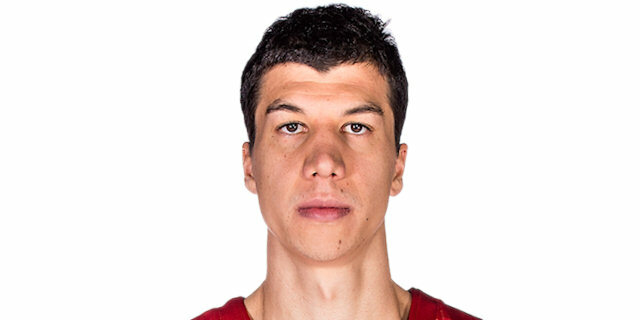 Milosavljevic ignited the crowd with a fast break layup, while Rytas kept missing open shots. 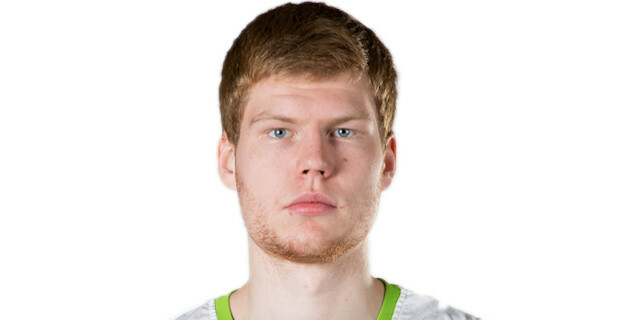 Bertans nailed a three-pointer to cap a 9-0 Partizan run and give the hosts a 30-25 edge. Babrauskas rescued Rytas with free throws and Nedovic followed a triple off the dribble with a fast break layup to restore a 30-32 Rytas margin. Bertans sank another three and Musli followed free throws with a buzzer-beating tip-in to give Partizan a 39-33 edge at halftime. Musli took over with a power layup right after the break, as the hosts kept powering the offensive glass. Radosevic split free throws, but a three-pointer by Leo Westermann made it a double-digit game, 44-34. Gordon shined with a big basket in the low post, as Rytas called timeout at 46-34. Radosevic tried to ignite the guests' comeback with a one-handed slam and Blums swished a baseline jumper to bring the guests within 46-38. Milosavljevic took over with a high-flying put-back layup that Ivanov matched with free throws. 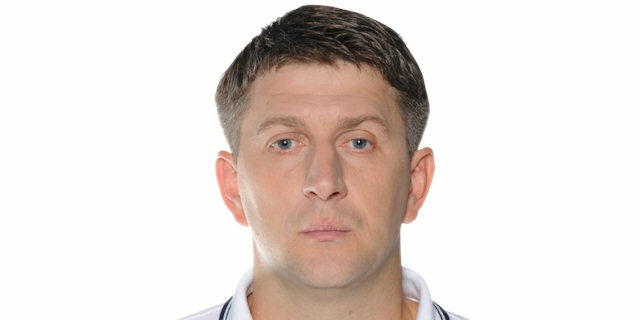 Lucic sank a four-meter jumper, but Ivanov stayed on fire with a dunk. Milosavljevic and Seibutis exchanged baskets and free throws by Ivanov gave Rytas some hope at 52-46. Blums took over with a seven-meter bomb, which forced Partizan to call timeout, 52-49, after a 0-7 run. Bertans rescued Partizan with an off-balance three-pointer and Nemanja Gordic added a layup in a 7-0 run that Djordje Gagic capped with free throws. Free throws by Blums brought Rytas within 59-51 after 30 minutes. Radosevic nailed a mid-range shot early in the fourth quarter and soon added a wild alley-oop dunk to keep Rytas as close as 59-55. Partizan kept struggling to score and a three-pointer by Seibutis brought the guests within 59-58. The hosts had been scoreless for more than three minutes when a running layup by Radosevic completed Rytas' comeback at 59-60. Seibutis nailed his trademark stop-and-pop jumper to cap a 0-13 L. Rytas run. Gordon made free throws and a put-back layup by Musli tied it at 63-63 with over four minutes left. Nedovic swished a three-pointer, but free throws by Musli and a wild alley-oop dunk by Gordon ignited the crowd at 67-66. Nedovic insisted from downtown and free throws by Milosavljevic tied it again, 69-69. Westermann stepped up with a driving layup, but a red-hot Nedovic nailed a baseline jumper. Lucic shined with a big basket in penetration only to see Seibutis better that with a corner triple for a 73-74 Rytas lead with two minutes left. Gordon dunked it and grabbed a key offensive rebound, but Rytas regained possession with 28 seconds left. Seibutis missed a six-meter shot, which allowed a sea of black and white fans to celebrate a critical home win. "This is a very important win for us. We made many mistakes and our defense on the pick-and-roll was bad. We we are a team that fights until the last second. " "The game was equal. It was an excellent battle and the fans could enjoy. Small details were decisive. In clutch moments, Partizan grabbed some offensive rebounds. I am happy because we are still in the hunt for the Top 16." "Like we expected, this was so hard game to play. We opened the game excellent and later we let Rytas back into the game. We missed a chance to make a break in the third quarter, but at the end managed to win. We lost some games in the last second, today we were lucky." "It was a tough game and we needed a lot of energy to grab the win. We were under pressure before the game because we needed to win so badly. The key to the game was our big effort and energy in defense." "It was a very interesting game. We had a goal not to allow Partizan to outrebound us and we managed to do so. We had the last shoot for a win; we missed, but I think we could be satisfied with our performance in that great atmosphere here."